According to its annual report 2016-17, IL&FS has 23 direct subsidiaries, 141 indirect subsidiaries, six joint ventures and four associate companies. And each one of its subsidiaries also has investments from public sector banks. IL&FS operates as a RBI-registered ‘core investment company’ and serves as the holding company of IL&FS Group. Most business operations are domiciled in separate companies. Over the years, the increase in funding requirements across group ventures has resulted in an increase in the company’s debt and consequently leverage levels. The company, however, continues to remain below the regulatory levels. The health of its subsidiaries, particularly the large ones including IL&FS Transportation Networks, has a direct bearing on its own balance sheet. “Every project comes under a different subsidiary and a different special purpose vehicle,” said an analyst. “When the company realised that it is in a huge debt trap (Rs 65,000 crore), investors concerned started building up pressure across some of IL&FS subsidiaries and ran away gradually. They, however, demanded an immediate review of the several operations inside and outside the country. Following investors’ pressure, the then chairman Ravi Parthasarathy was forced to resign in July and the performance review started under the guidance of LIC’s Hemant Bhargava who stepped in as non-executive chairman in the company,” he said. “The company’s investment portfolio includes group ventures…. IL&FS’ investment portfolio remains relatively illiquid with large investments in group companies engaged in long-gestation and capital-intensive projects. With a portfolio of mature/operational assets, IL&FS has strategically followed an opportunistic divestment business model to monetise its investment portfolio, though the progress on the same has been relatively slow owing to limited investor interest in the sector,” said Karthik Srinivasan, group head, financial sector ratings, Icra. IL&FS’ total income increased to Rs 1,899 crore in FY2018, a modest growth of 6 per cent over the previous fiscal, supported by the increase in interest income. The operating profitability continued its downward slide to 1.52 per cent of average total assets (ATA) in FY2018 from 1.81 per cent in FY2017 owing to contraction in the investment income, despite moderating in operating expense. 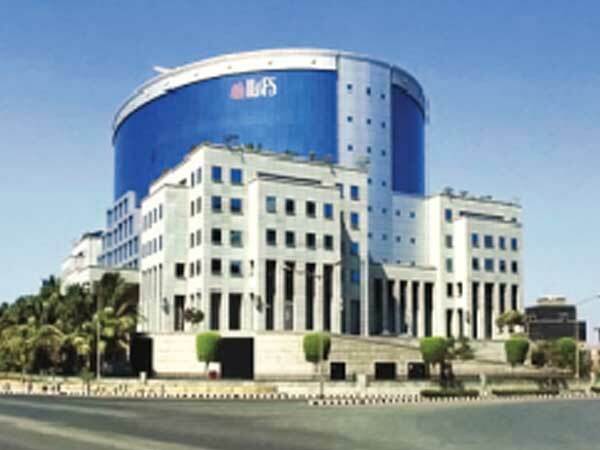 IL&FS and IL&FS Transportation Networks plan rights issue: IL&FS plans to raise Rs 4,500 crore of equity, through a rights issue, in H1FY2019. Other initiatives being pursued by the company include debt refinance at the project execution entity which would help in up-streaming of cash flows, partnering with strategic investors at a project level and monetisation of assets.